Even if you don’t have a significant other, you still might want to grab something for kids or loved ones. Thinking outside of the box this year past the typical flowers and box of chocolate options? I don’t blame you. Classic Valentine’s Day gifts can be super pricey and not as meaningful and unique. There is also a misconception that you have to spend a lot of money for Valentine's Day. Luckily, I have a few budget-friendly gift ideas you can consider for him, her, the kids and the pets. 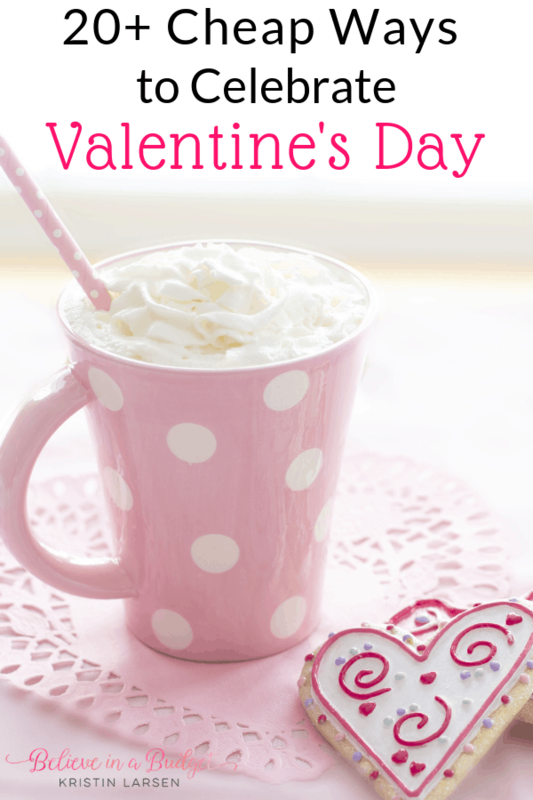 First of all, Valentine's Day doesn't have to be celebrated on February 14th – pick a date and time that works for you. If the holiday falls on a busy day for you and your loved ones, make plans and pick a different day. You can still plan a fun activity at a different time. Otherwise, celebrating Valentine's Day can be in the morning, on a lunch break or in the evening. It doesn't really matter when it's celebrated – it's more about the message and being thoughtful. Leather Sketchbook – A blank vintage sketchbook can make the perfect gift for the artist, traveler and adventurer! This sketchbook can be used to store photographs, jot down notes and for inspiration. It comes already gift wrapped in a nice keepsake box! Graphic Tee or a Nice Shirt – Can guys ever have too many shirts? Stop by your favorite store and sort through all the t-shirt options to see if you can find something he would like. If he enjoys humor, you may want to grab a shirt with a funny message on it. If he’s a big fan of a certain movie, T.V. show, or sports team, see if you can grab him some fandom gear. At minimum, you can pick up a nice button down shirt and gift wrap it. He will definitely put it to good use either at work or the next special occasion. Car Phone Holder or Phone Case – This car phone holder will come in pretty handy for anyone like me who hates driving somewhere with directions and having no place to set their phone. It’s easy to assemble and clips right onto the air vent in your car. A new phone case is also a reasonable gift that could prevent costly phone repairs if the screen gets cracked. OtterBox is a really durable brand and they sell phone cases on Amazon or in some tech accessory stores. Wallet – Wallets can do more than simply store your money these days. They can also protect you from thieves looking to steal your credit card and bank information. This genuine leather wallet looks normal, but the lining is equipped with RFID blocking technology to help prevent thieves from copying your card information. Now is the perfect time to get rid of your husband or boyfriend's old and bulky wallet and replace it with a slim wallet. Yeti Rambler – Whether he's going to work, school or has a long car ride ahead of him, these Yeti Ramblers keep drinks hot or cold for an entire day! These ramblers hold up to 30 ounces and are the perfect gift. 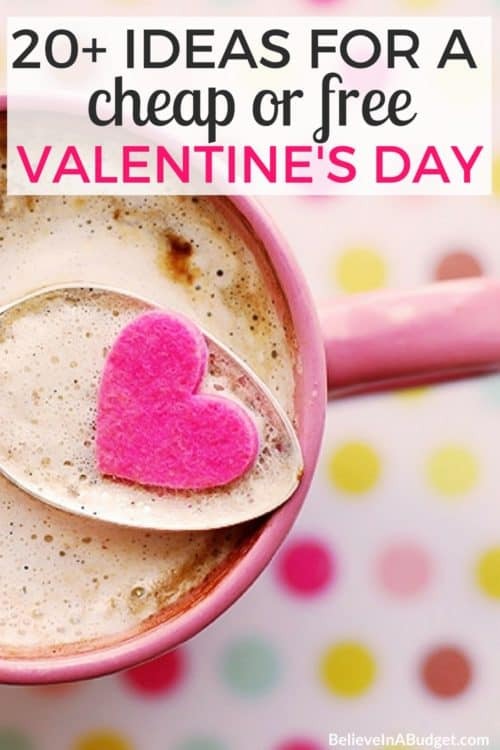 You can even upgrade this Valentine’s gift by filling the wallet with a few gift cards to his favorite stores and restaurants. Pajamas – Sleep shirts and comfy P.J.s for the win! There are always tons of cute sleepwear sales for ladies around this time and I just want them all. A robe would also be a nice alternative option and you could even throw in some socks, slippers, bath bombs and lotion for a complete lazy day. Yeti Wine Glasses – Raise your hand if you've ever dropped your wine glasses before. These Yeti wine glasses come in a wide range of colors, are great for gift giving and are sold in pairs. Audiobooks – There is nothing better than listening to an audiobook while in the car, exercising or running errands. Giving the gift of an Audible monthly subscription is such a clever gift. It's like gifting someone a gift card, but letting her pick out the exact gift. Canvas Wall Decor – If she loves inspirational quotes, consider grabbing some canvas wall decor to decorate some rooms at home or even at her job. You can also create your own canvas online by designing a custom message or even adding a special photo from your memories. You can customize canvases for cheap on sites like CanvasWorld.com or EasyCanvasPrints.com. Journal –This journal is a great pick for someone who takes their notebooks seriously. Does she need her own journal or planner to stay organized and record daily tasks? Consider picking this one up to record and write out everything! Wine Club – Giving the gift of wine is sure to win her heart! I personally love Naked Wines because they support small wineries and taste amazing. As a recipient of this gift, it was such a surprise to receive wine in the mail each month. Art Supplies – Instead of loading kids up with sugary candy, get them some art supplies so they can draw and create instead. Items like crayons, coloring books, washable markers and scented stickers are pretty cheap and they can make crafts for hours. Books – You still have time to order some Valentine’s Day themed books or you can just get some other books that include their favorite characters and themes. Stuffed Animals – This is a good idea for younger kids and you’ve probably already seen tons on sale in stores over the past few weeks. If you have a lot of little kids in your family, you can send a stuffed animal to each of them for Valentine's Day. Heart Photo Memory Game – You might have played the classic game Memory before. This version is customizable and perfect for the holiday. You can order the game on PinholePress.com and customize it with photos of family members to make it more fun. Gourmet Dog Treats – Visit your local dog bakery and pick up a couple new treats. Bakeries are becoming more and more common, and many regular bakeries sell gourmet dog treats as well! New bone – If your dog is anything like ours, we are always searching for a really strong, durable bone that lasts more than five minutes. This 4 pack is our go to for petite bones and keeps our dogs busy, without leaving a mess on the floor! Faux Fur Dog Bed – We regularly were buying dog beds, but many of them were losing their shape because of the stuffing. This dog bed has held up in the wash and always gets its shape back. It also looks super cute with our furniture and decor. Furbo – While not cheap, I had to add this item to the list for peace of mind. We purchased this item over the holidays and love it. The Furbo is a camera that allows us to check on our pups, talk to them via the microphone and dispense dog treats all at the same time! It works at night as well, so we can have a clear view of the pups if we are out for the day or won't be back for late. I can't recommend it enough. It can also double as a regular security camera or baby monitor as well. At the end of the day, it’s what’s in your heart that counts the most so keep that in mind when you’re trying to avoid the pressure to overspend on gifts and activities for Valentine’s Day. Identify what your budget will be and think outside of the box and get creative in order to stick to it.